NEW YORK, May 29, 2018 /PRNewswire/ -- The Cultured Pearl Association of America (CPAA) has unveiled a $250,000 digital marketing campaign to promote its proprietary online pearl education PearlsAsOne.org (PAO). New, exotic freshwater pearls known as souffle pearls are among the new types of pearls emerging in the market. The PAO Pearl Specialist Certification Course was created in 2016 by Jeremy Shepherd, CPAA treasurer and founder of PearlParadise.com and Pearl-Guide.com, in partnership with the world's biggest pearl producers. Those groups include: The Tahitian Pearl Association of French Polynesia, Jewelmer, the Japan Pearl Exporters' Association, Paspaley, Atlas Pearls and J. Hunter Pearls Fiji. 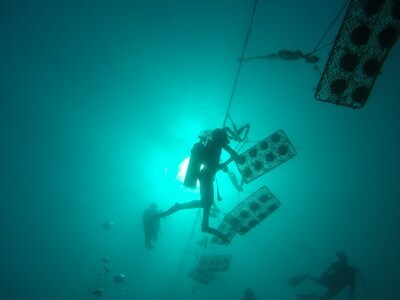 PAO brings together the expertise and passion of pearl farmers, retailers, processors, wholesalers, and importers, all with the shared goal of promoting the pearl industry. "Most industry education focuses on diamonds and colored gemstones, and we discovered that many jewelry experts don't have a deep understanding of pearls and how to appraise them," explains Shepherd about the reason for creating the course. PearlsAsOne.org is the most comprehensive pearl education available in the trade. The course is divided into 10 modules and covers topics like the history of the pearl industry, pearl valuation, and current production methods. To date, more than 20,000 have taken the English-language course (PAO is available in seven languages). The CPAA's marketing initiatives heavily focus on social media advertising to drive interest in pearl education and a growing consumer demand for the organic gem. 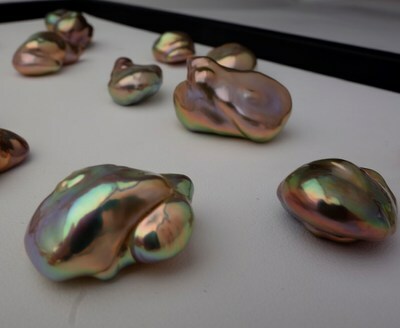 The Tahitian Pearl Association of French Polynesia (TPAFP) is funding these efforts for 2018 because it supports the changes—including a new website and original content—being made by CPAA to reinvigorate the U.S. pearl market. "Pearls have the most inspiring story in all of jewelry, and the monies made available by the TPAFP are being strategically spent to create knowledgeable collectors and fans all over the world," says Jennifer Heebner, the recently appointed executive director of CPAA and a 20-year veteran of the jewelry industry. CPAA is a nonprofit group whose goals are to improve retail marketability of pearls and cultivate demand among consumers. For more information about becoming a certified pearl expert, please visit PearlsAsOne.org. To learn more about the Cultured Pearl Association of America, please visit CPAA.org.